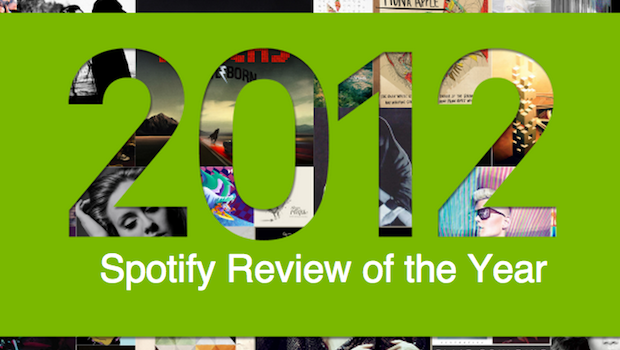 Spotify released its year in review for 2012, which includes some of the year's viral hit sensations. The most popular song in the U.S. this year was "Someone I Used to Know" by Gotye featuring Kimbra. An interesting side note is that covers of the song also became big hits online. A version of the song by the group Pentatonix was hugely popular on YouTube, garnering over 10.6 million views. Rounding out the top 5 most popular songs in the U.S. were: "We are Young" by Fun. featuring Janelle Monae, "Call Me Maybe" by Carly Rae Jepsen, "Some Nights" by Fun. and "Payphone" by Maroon 5. Rihanna was Spotify's most popular female artist of the year and David Guetta was tops for male artists. Coldplay made the list for most popular band and Adele was named the most shared artist. Spotify is a free ad-supported, music-streaming service that is accessed through a desktop client. The company launched in the U.S. in July 2011. Mobile apps are available on iPhone, Android, Windows, BlackBerry, Palm and Symbian. The company reported 5 million paid subscribers worldwide in December, with 1 million in the U.S. alone.